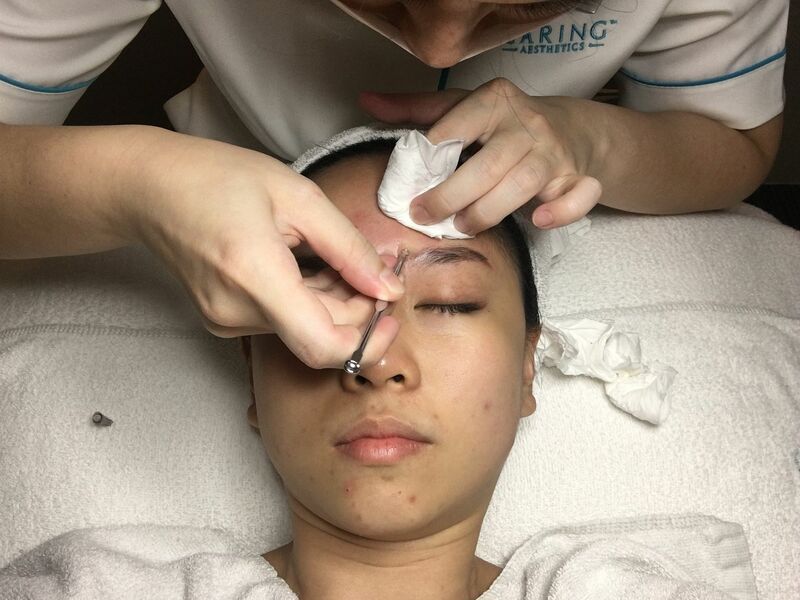 I visited Caring Skin a while back to try out their Rosa C3 Facial treatment. 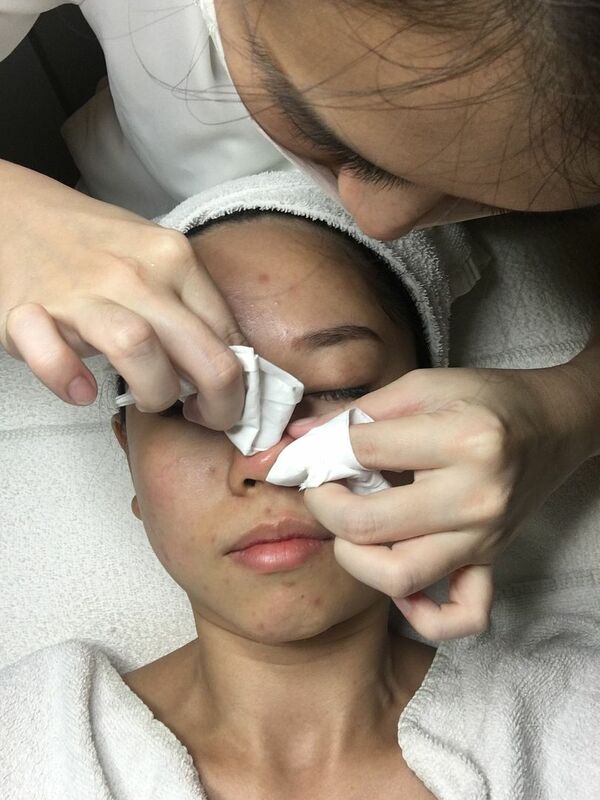 People with sensitive skins would definitely find this facial review useful, because this treatment caters to people with sensitive skin, prone to redness and has obvious fragilized blood capillaries especially when under stress. 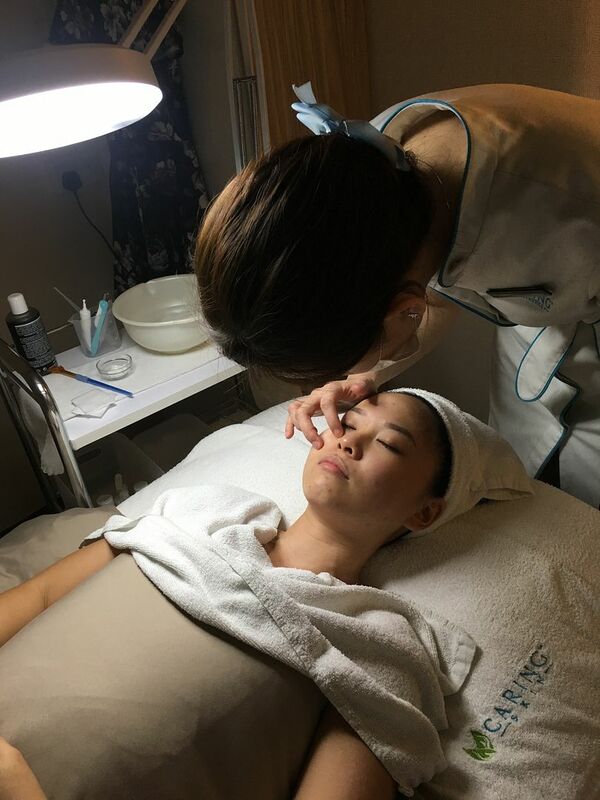 I understood that Caring Skin is a facial spa specialised in dealing with sensitive skins, such as mine. 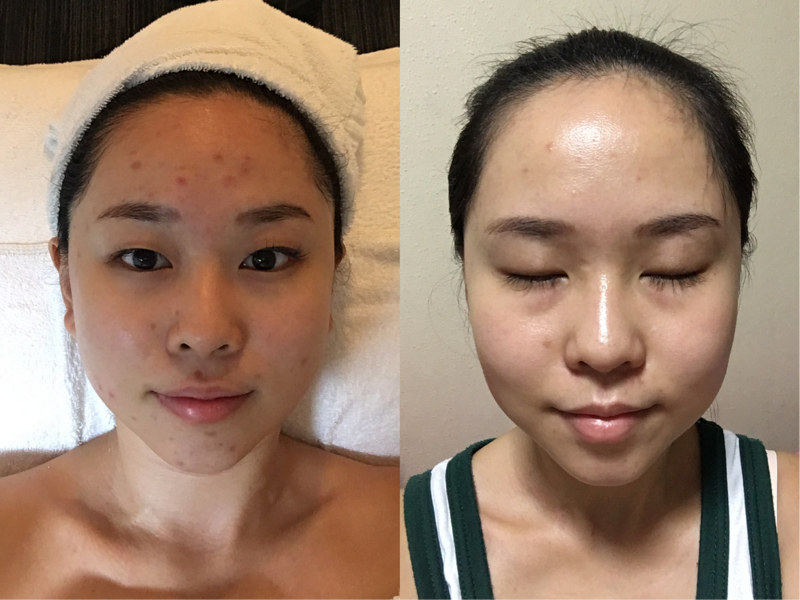 I'm glad to have tried out their treatment and I can tell you, it's really very different from my usual facial treatments. 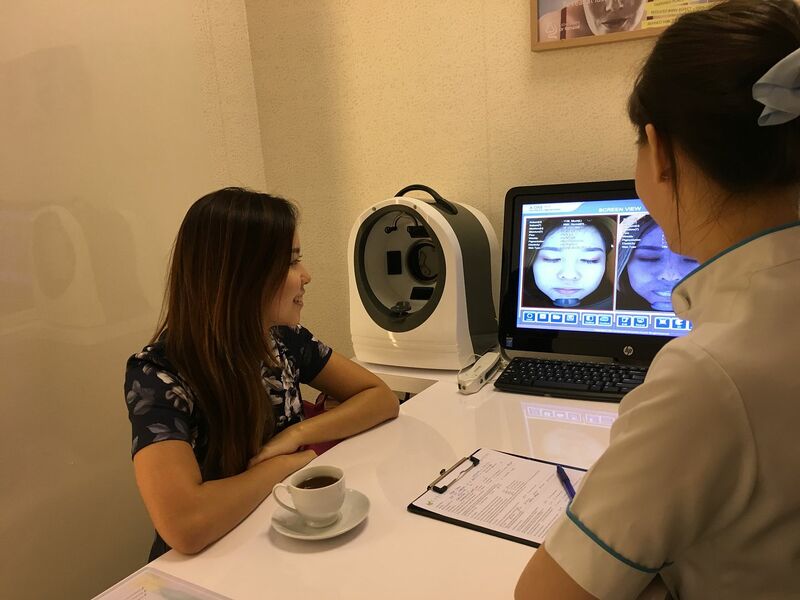 Before we start the facial treatment, I was brought to a consultation room for a thorough skinmap analysis to check my current skin health. 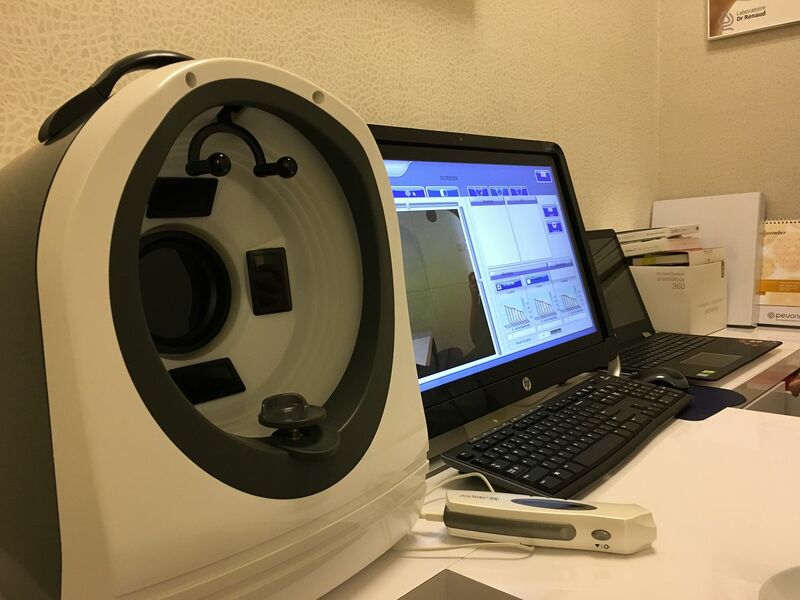 With the help of this skin analysis machine, the consultant is able to detect the real issues of my skin in order to decide what kind of treatment I need. 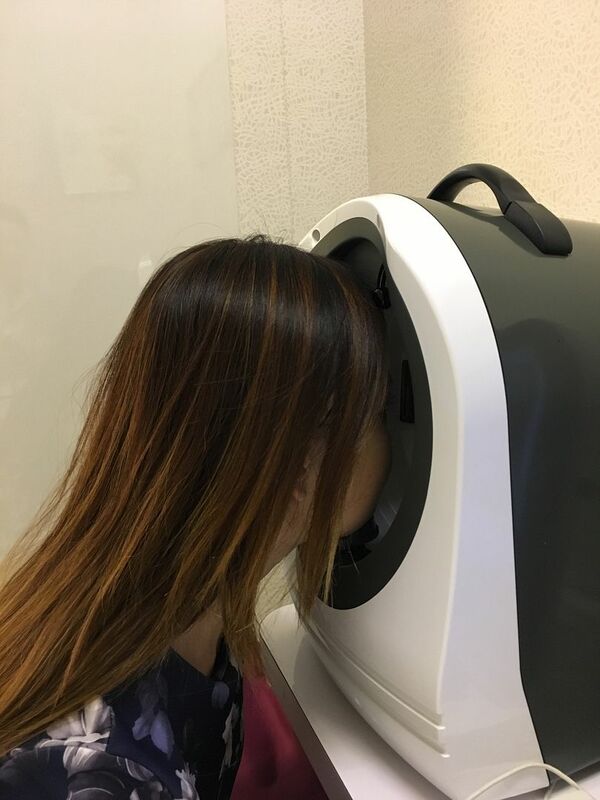 This machine is able to analyze what kind of skin problems one can possibly have - Enlarged pores, excessive wrinkles, lack of moisture, excessive sebum (oil) and any other skin issues. 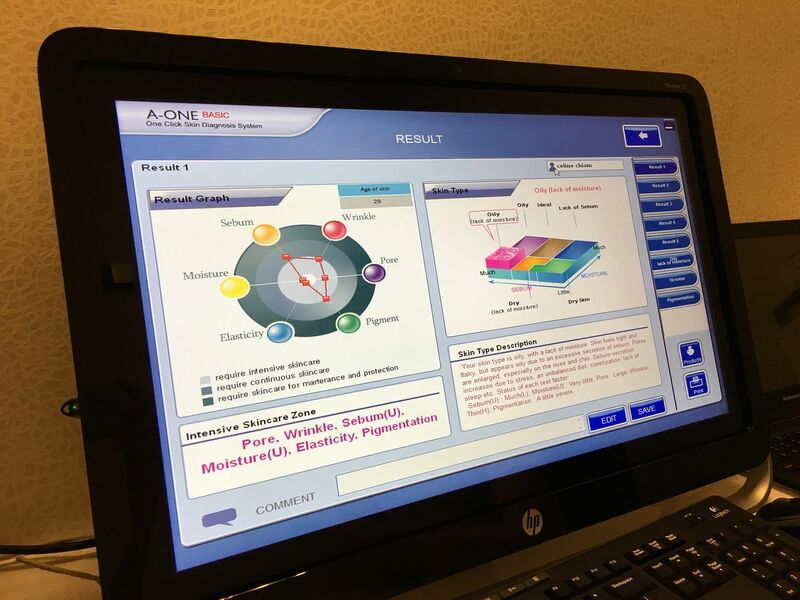 After a few flashes and snaps, the machine detected the areas of my concerns. Notice that white dots on the right? They're actually my pores and comedones (black and white heads). Clearly, they're more concentrated on my t-zone areas. Thereafter, the consultant moved on to further analyse my combination skin problems and informed me the type of treatment I am suitable for. In my visit, I found out that they usually don't do too much extraction on a person's first visit because they are unsure of the possible skin reaction. I felt very reassured because in that way, I know they are exercising extra caution when it comes to caring my skin. On another note, Caring Skin exclusively carries Dr Renaud skincare brand, a Nobel Prize-Winning Innovation in Science and Medicine. It's also many Hollywood celebrities’ choice! 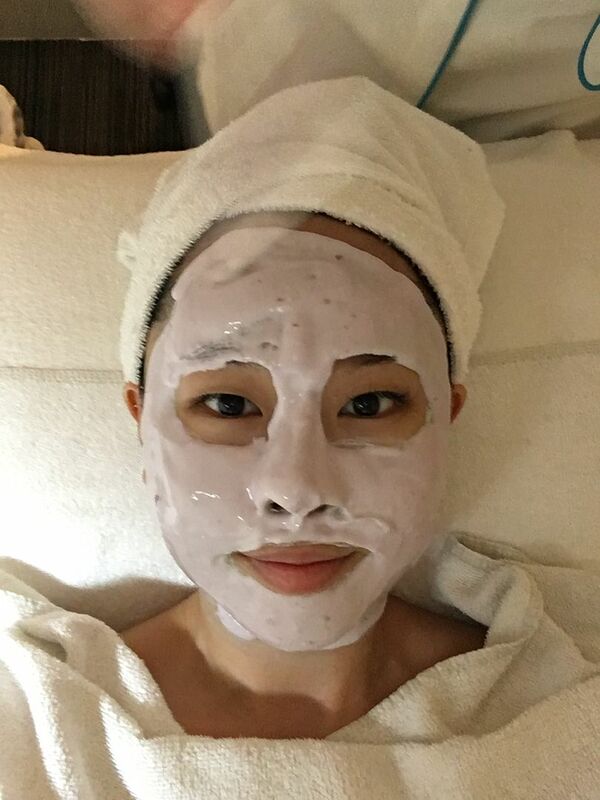 Here’s me undergoing my Rosa C3 facial treatment, the facialist started the treatment with an ultra-rejuvenating massage which it calms and prepare my skin for the next treatment step. 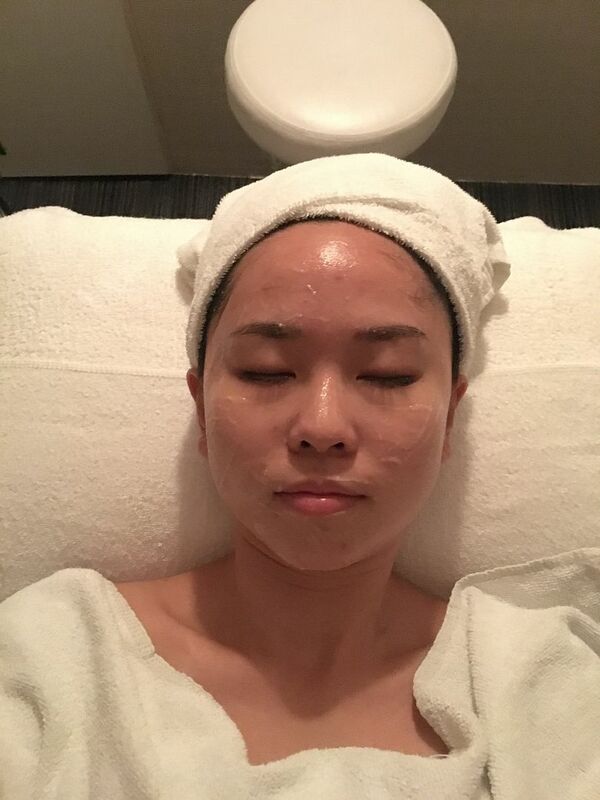 After cleansing (above), the facialist applied Exfomousse on my skin to remove any dead skin cells on my skin. It's a very mild exfoliating process which is suitable for sensitive skins like mine, although there was a mild and bearable tingling sensation when applied. Tips: It is normal to feel tingling sensation because it meant the product is working to treat the (specifically dry) skin, the sensation experienced may vary according to individual’s skin condition. 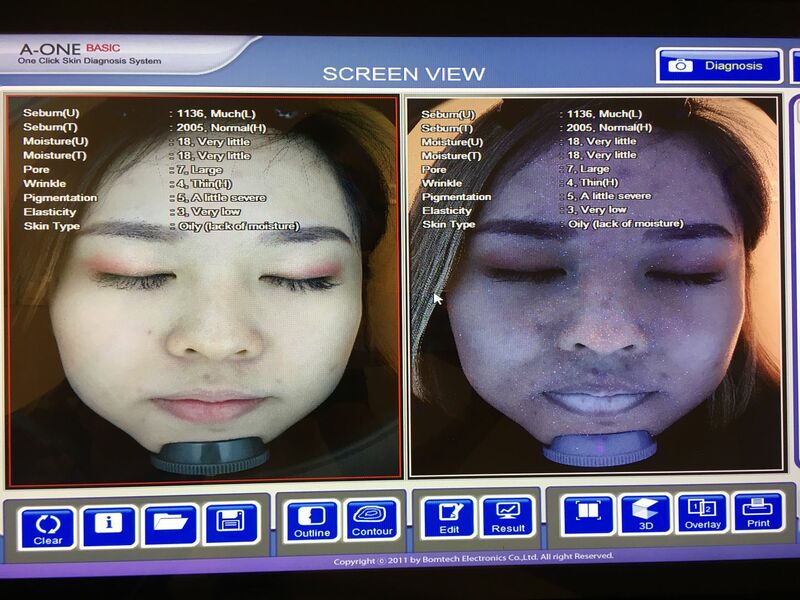 To my surprise, the facialist jump straight to extraction without steaming. They explained that they do not do hot steaming here because they do not want to risk aggravating sensitive skins. Even the extractions are done minimally on my first visit. 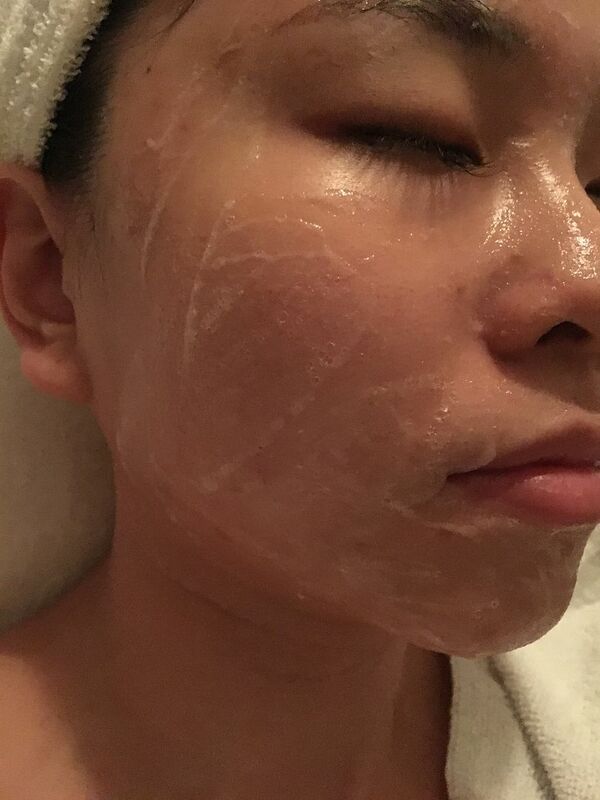 After extraction, the facialist applied gel mask on my face before turning on the cold steam. Remember i mentioned that they do not use hot steam during their facial? 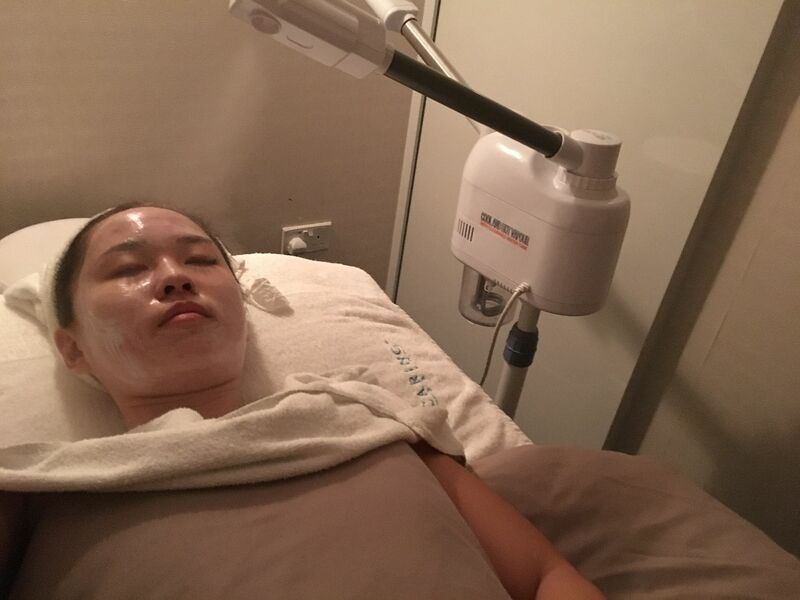 I was also surprised when they told me they're going to release cold steam on my face to kind of cool my face down, especially when my face turns quite hot after extraction. 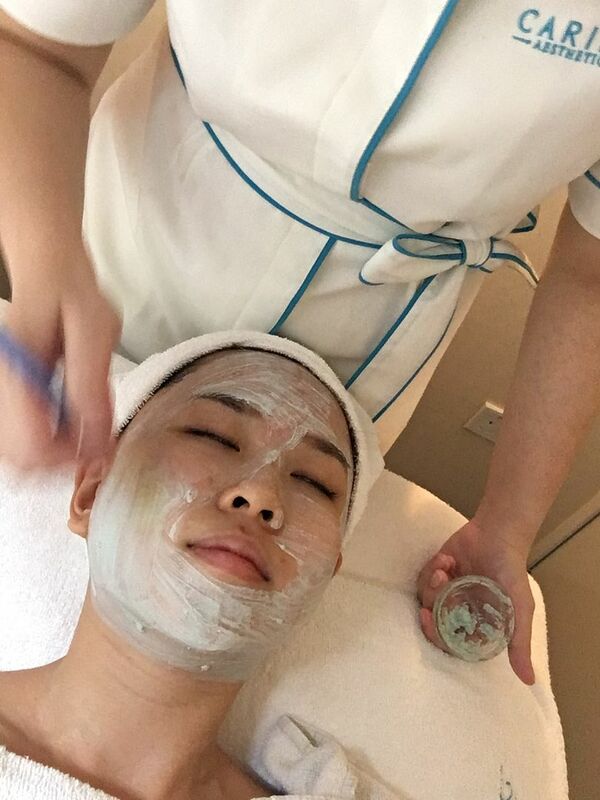 The final steps include applying cream mask gel and clay mask to properly detox the inflamed skin. This step helps to hydrate the skin while at the same time repair any damaged skin cells. I had a good time napping while letting the mask do its magic on my face. Facial sessions is all about resting and enjoying the moment isn't it? (maybe not the extraction part hahah). 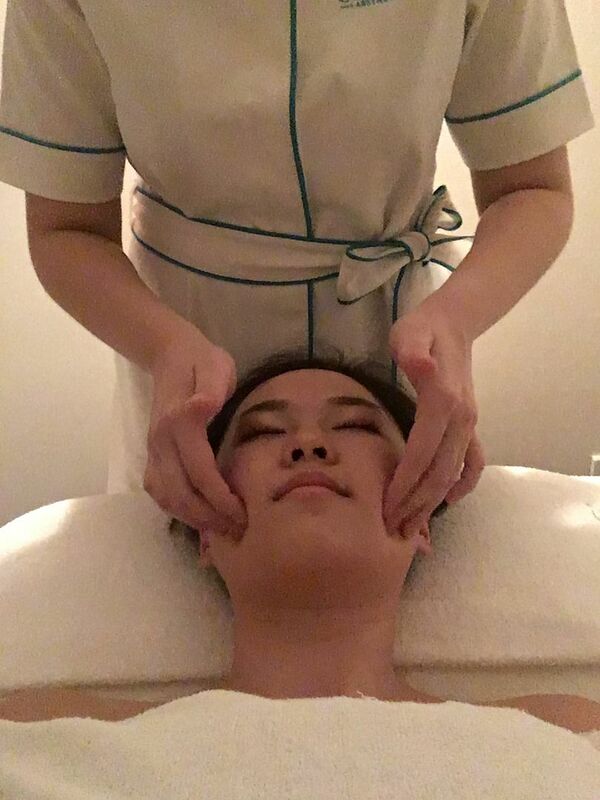 I highly recommend this Rosa C3 facial for those with sensitive skins, and is looking for a treatment to reduce irritation and warmth sensation. While I do not have hyper sensitive skin or Rosacea, I can still understand how this treatment would help ease sensitive skin issues like Rosacea. 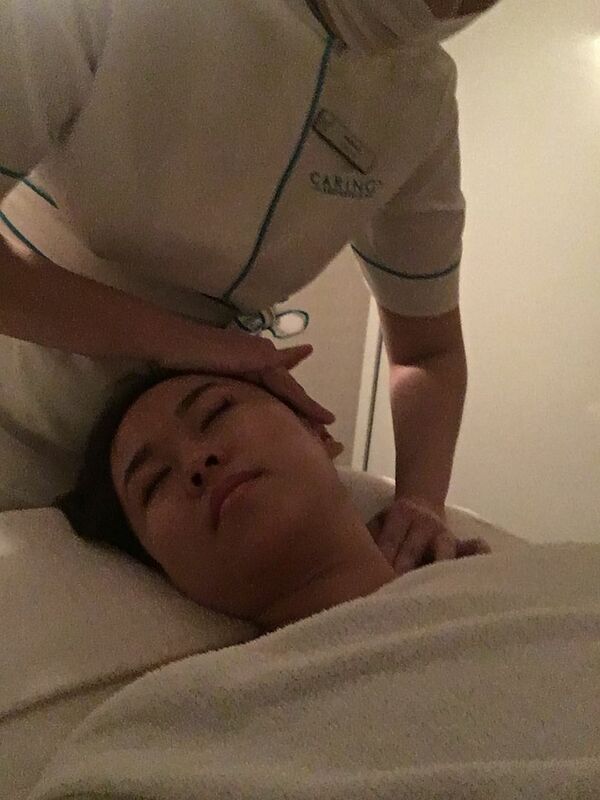 Of course, facial and shoulder massage are always an added bonus during facial sessions. I love it! Back then I was having really bad breakouts which I have no idea what's the reason behind.. but it looks like my skin is doing quite well these days! Just a few breakouts here and there, and a bit of scars. I am extremely contented.